In many classification problems labels are relatively scarce. One context in which this occurs is where we have labels for groups of instances but not for the instances themselves, as in multi-instance learning. Past work on this problem has typically focused on learning classifiers to make predictions at the group level. 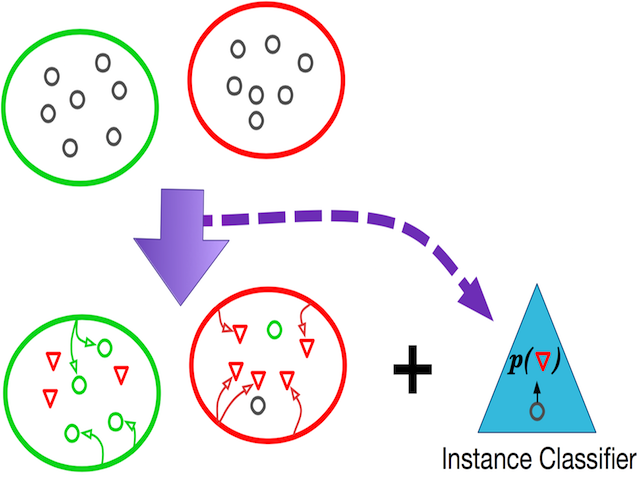 In this paper we focus on the problem of learning classifiers to make predictions at the instance level. To achieve this we propose a new objective function that en- courages smoothness of inferred instance-level labels based on instance-level similarity, while at the same time respect- ing group-level label constraints. 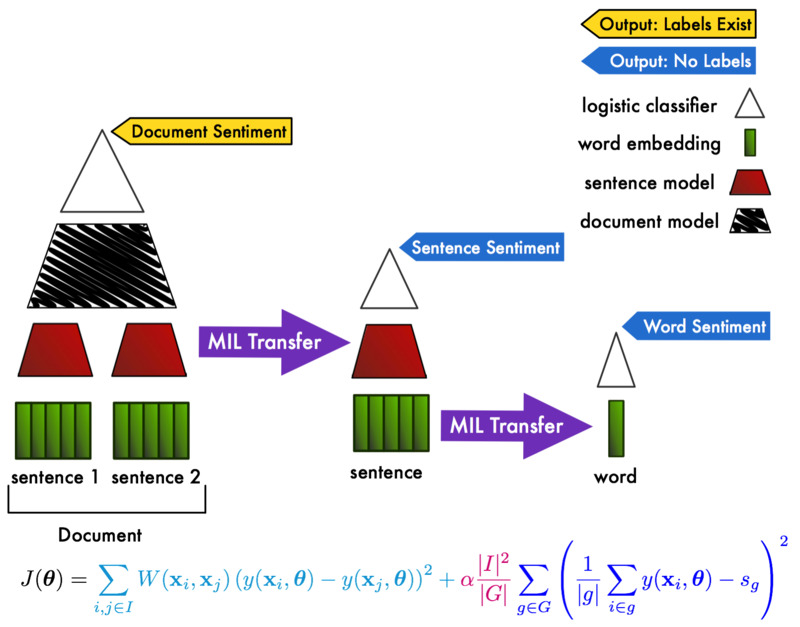 We apply this approach to the problem of predicting labels for sentences given labels for reviews, using a convolutional neural network to infer sentence similarity. The approach is evaluated using three large review data sets from IMDB, Yelp, and Amazon, and we demonstrate the proposed approach is both accurate and scalable compared to various alternatives. In many machine learning scenarios, we have information about a group of instances, but not each individual one. This work presents a method to transfer knowledge from the groups, to the individual instances that comprise them. In order to do that, we present a novel loss function, which allows us to not only transfer knowledge to instances, but also learn the parameters of an instance classifier.